It was a lovely afternoon in Maine today so I drove down to Reid State Park beach to try my hand at beach metal detecting. 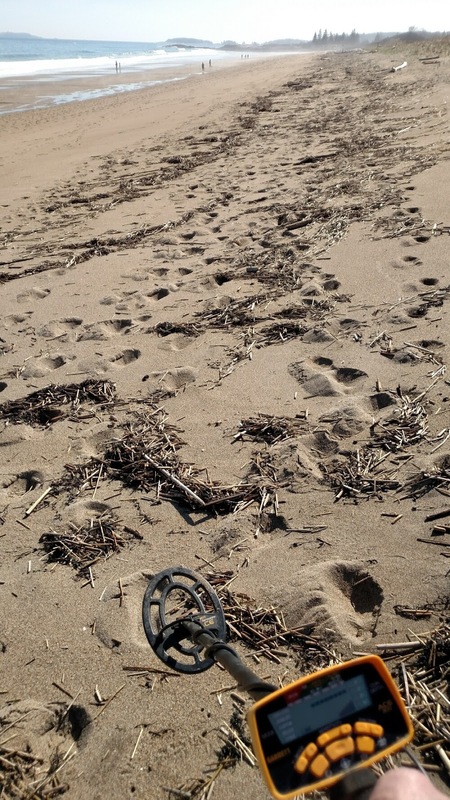 The beach is about 1 mile long and I have never walked so far without a signal. 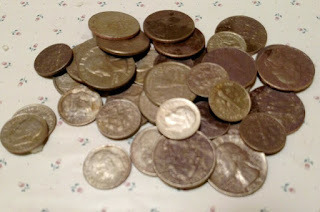 Did get a quarter and a rotted nickel - not enough to cover the $6 admission. I'll go back in the summer once people have had a chance to leave their change and jewelry behind! 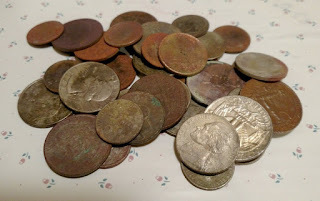 I have collected quite a few coins already and the valuable ones get a light cleaning and maybe a few minutes in my small ultrasonic cleaner if there is embedded dirt. I got my ultrasonic jewelry cleaner for about $24 on eBay. It is visible in the back on the right in the photo below. I use it mainly to get dirt out of crevices in jewelry and toys etc. 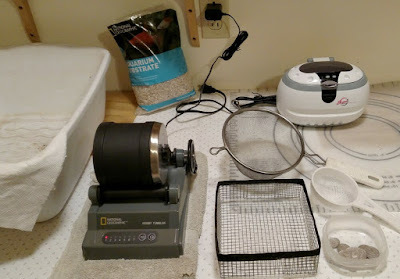 I just got the small National Geographic rock tumbler from Amazon (about $70) for cleaning the clad coins I have dug up - I have a lot already! I separate the copper pennies from quarters, dimes, nickles and run them separately. I use aquarium gravel - also sold by National Geographic. I add white vinegar, a drop of Dawn dish washing liquid, some table salt and warm water. Cleaning takes 1 to 8 hours depending on how bad they are. I stop and check on progress and remove some of the cleaned coins every 2 hours. I made the square basket to catch coins as I dump out the drum. The gravel falls though into the strainer for re-use. This tumbler removes all the surface corrosion and polishes the coins up nicely.